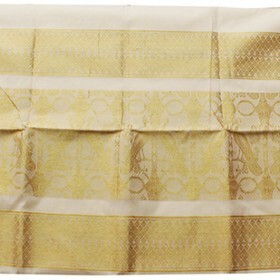 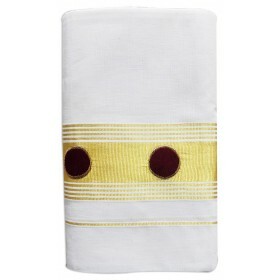 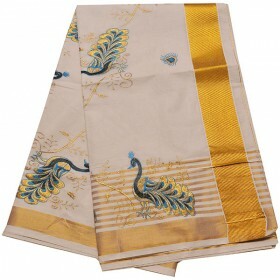 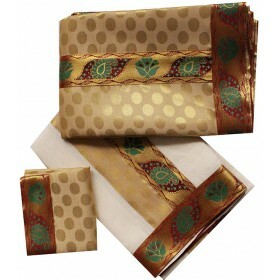 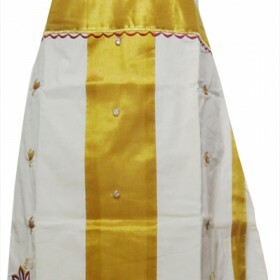 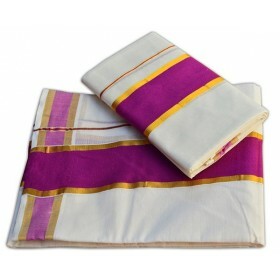 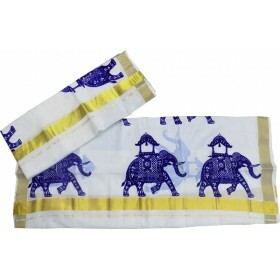 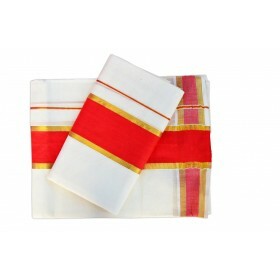 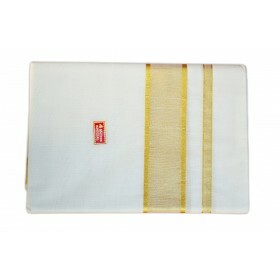 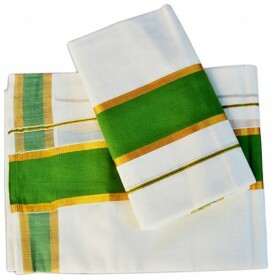 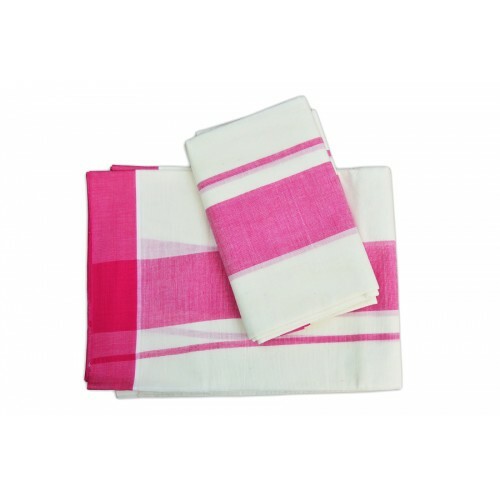 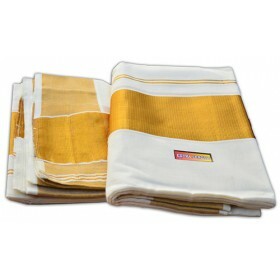 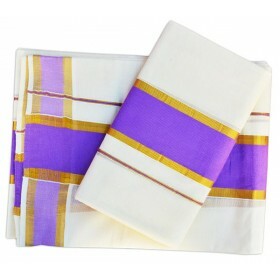 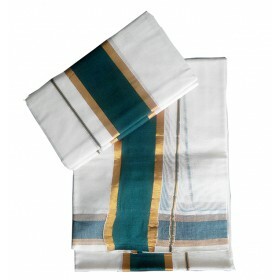 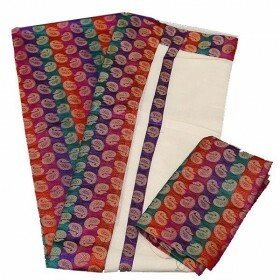 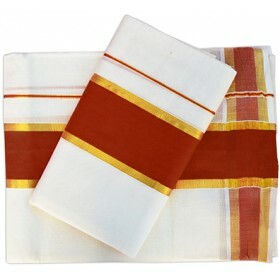 Latest kerala 2 pieces extra length single set mundu with rose plain brocade. 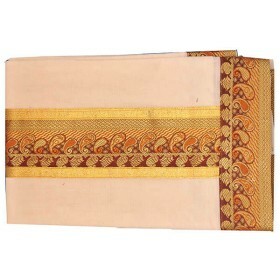 4 inch large horizontal brocade and 2 inch light plain rose brocade. 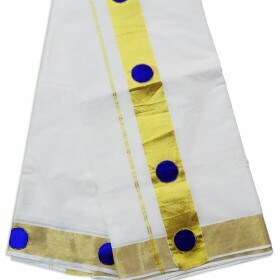 Extra length kerala kasavu mundu. 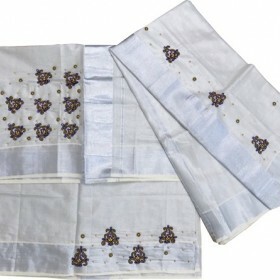 One Thin and wide plain rose vertical border is give the look nature.